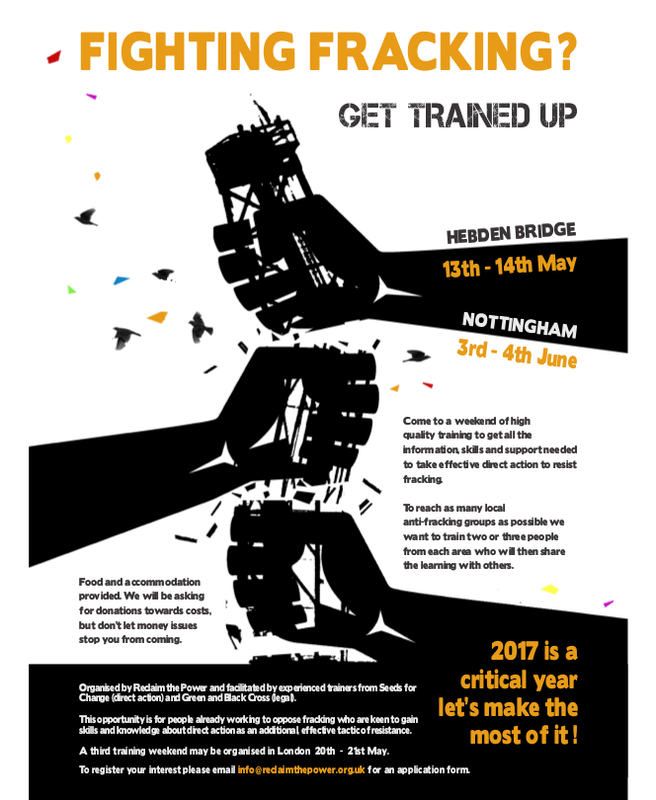 As resistance to this dirty industry intensifies, Reclaim the Power is holding a number of anti-fracking Direct Action Training weekends. 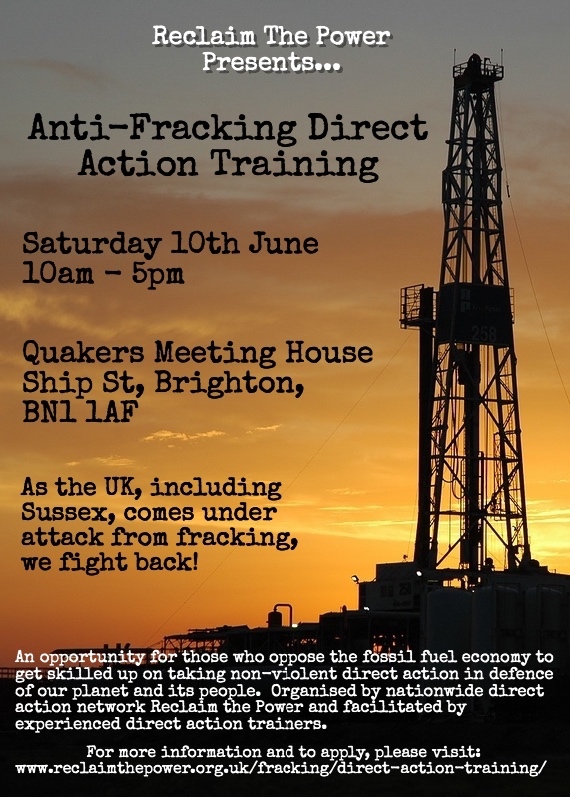 As well as getting lots of skills, knowledge and practice these weekends will be important for networking with others who are resisting fracking in your region – a place to share ideas and resources to help build a stronger, more cohesive movement. 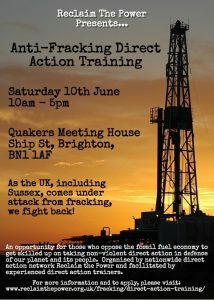 This is a great opportunity to find out about non-violent direct action as an additional, effective tool to combat fracking. We hope that, by reaching people from many communities and groups determined to resist this unnecessary, damaging threat to our environment, our training weekends will help strengthen the movement. Planning and organising an action – what is involved? As well as learning a lot, we expect to build solidarity and have fun! The training is from 10am on Saturday until 4pm on Sunday. Vegan meals and basic accommodation will be provided. We will be collecting donations towards our costs but please do not let lack of money prevent you from applying. We will then contact you with more information.